Gordon Anglesea, 79, of Old Colwyn, Conwy, was jailed for 12 years for historical offences in November. During his trial, Mold Crown Court was told how he abused two boys between 1982 and 1987 when they were 14 or 15. Anglesea, who was serving his sentence at HMP Rye Hill in Northamptonshire, died in hospital at about 09:30 GMT on Thursday, the Prison Service said. It is believed he became unwell and was admitted to a hospital several days ago. A Prison Service spokesman added: "As with all deaths in custody, the independent Prisons and Probation Ombudsman will investigate." Anglesea was arrested in 2013 as part of the National Crime Agency's Operation Pallial investigation into historical abuse across north Wales. He was convicted of one charge of indecent assault against one boy and three indecent assaults against another following the six week trial. Last month, the retired police officer lodged an appeal against the convictions. Trial Judge Geraint Walters said Anglesea had "grossly abused" the trust placed in him by the boys. "The consequences for them has been profound, indeed life changing," he added. The court heard one boy was abused in the showers of a Home Office attendance centre in Wrexham run by Anglesea, who was a police inspector at the time. One of his victims told the court he had tried to commit suicide "simply because I couldn't bear to live with the memories of what that man did to me". Another victim, who was sent to the former Bryn Alyn care home in Wrexham at the age of 13, described how he was scared of Anglesea, even as an adult. He said: "Of all my abusers, Anglesea was the worst. He was the one I feared the most." 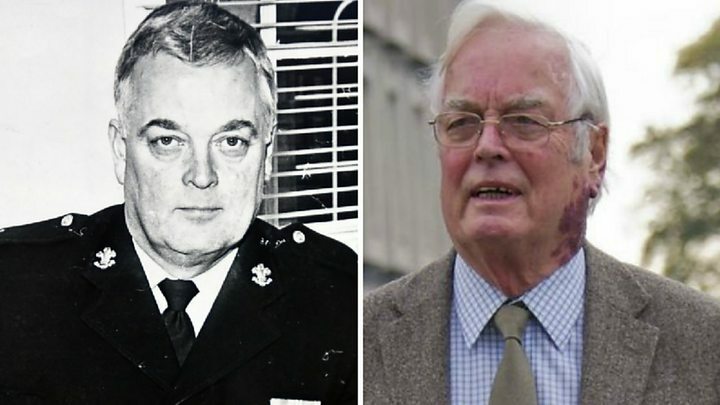 Malcolm King, a Wrexham councillor who has played a key role in exposing abuse of children in care in north Wales, said: "He was a truly evil man. "I think now that there ought to be some sort of process for people who were abused by him - there ought to be some way of allowing their stories to come forward at least so they can have their stories heard and acknowledged. For a lot of people that would be quite an important thing to happen." In 1994, Anglesea was awarded £375,000 in libel damages after media organisations ran stories about his links to abuse at children's homes in north Wales. 2000 - The Waterhouse report says allegations about Anglesea had not been "proved to our satisfaction"